If there’s one thing you can count on when it comes to Google, it’s that the SERP algorithm is constantly been tweaked. One of the many subtle adjustments that have been made in recent years happened in August of 2012, when a substantial percentage of search queries began returning only 7 results instead of the traditional 10, a move which commonly came to be known in the SEO community as “7 SERP Results”. Without a doubt, Google has conducted several experiments in terms of rearranging the elements that occupy the organic real estate on their SERP pages, and the move to 7 SERP results has prompted quite a bit of chatter on various SEO blogs and IM forums. While many SEOs acknowledge that changes such as these are inevitable, many would debate if a 7 result SERP page is really the way to go. According to Moz, the amount of first-page Google SERPs with less than 10 results has steadily been on the rise. SERPs with 7 results can take on many different forms, but the most common instances typically display a number-one result with expanded sitelinks, followed by six subsequent organic listings. 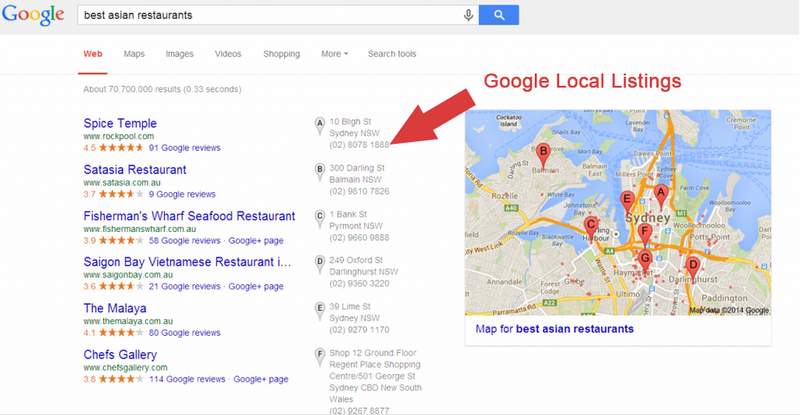 Other iterations of this phenomenon include SERP pages that primarily feature local (geo-targeted) results (e.g. a list of relevant local businesses along with Google Map markers), clusters of images, or even a handful of YouTube videos taking up the majority of the space on the first page. One of the most notable factors regarding Google’s search results is that not all search queries are created equal. The wide degree of variety among different types of search queries requires Google’s algorithms to adopt a very flexible approach to the types of results they can serve. This has definitely held true in terms of which results will return only 7 listings versus the “standard issue” results page comprised of 10 listings. A primary determining factor is whether or not the search query has any type of purchasing intent. Google handles millions of search queries each day, many of which are simply for information-seeking purposes such as word/phrase definitions, fact-finding, etc. Another large portion of search queries are specifically for the purpose of purchasing some type of product or service, and it is these search queries that are arguably the most vulnerable when it comes to a 7-SERP versus 10-SERP listings. The reason for this is that ranking factors are dramatically impacted for sites that regularly seem to get “juggled around” in Google’s traditional top 10 SERP listings. If your website typically appears at position 8 or lower on a traditional Google SERP page, you run the risk of being relegated to page 2 (a.k.a. “SERP Purgatory”) if Google decides to serve up a 7-SERP page instead. Moz also detailed an experiment where over 1,800 search queries were performed, and interestingly enough, 100% of the 7-SERP results featured websites with expanded sitelinks sitting in the # 1 position. While Google is famous for throwing SEOers multiple curve balls, it seems as if there is a strong correlation between these two factors that suggests some type of interdependence when search queries are fired off. Expanded site links typically take up more space than traditional site links due to the added descriptions underneath each link; this extra space requirement seems to be a driving factor behind the 7-result “template” that is displayed with these particular search queries. Branded domains also seem to attract the 7-SERP result as well. For example, when search queries are performed on a brand name as the primary keyword, more often than not Google will display the official website for that particular brand, along with a handful of expanded sitelinks underneath, perhaps to aid the user in getting to a popular page on the company’s website. Other popular entities that are not necessarily corporations, ASIC for example, also receive expanded sitelink treatment, increasing the likelihood of a 7-SERP result page being returned as well. If you currently have a website that seems to flip-flop back and forth on the lower end of a traditional Google SERP page with 10 listings, you may need to beef up your link building strategy in order to give your site a boost in the rankings. Concentrate on obtaining authority links from quality, relevant sites, and monitor your current position closely based on the keywords that you are trying to rank for. It is unlikely that there are any “quick fixes” that will enable you to avoid getting 7 SERP results for your target keywords, but as with most other aspects of SEO, sound research and nimble adaptability will put you in the best position to stay on top of your game. Concentrate on obtaining authority links from quality, relevant sites, and monitor your current position closely based on the keywords that you are trying to rank for. It is unlikely that there are any “quick fixes” that will enable you to avoid getting 7 SERP results for your target keywords, but as with most other aspects of SEO, sound research and nimble adaptability will put you in the best position to stay on top of your game.